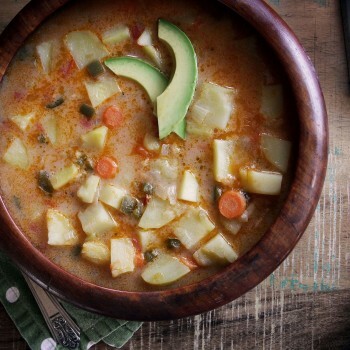 A spoonful of Tanzania’s Coconut Potato Soup garnished with moons of buttery avocado will transport you to the windswept slopes of Mount Kilimanjaro. Never fear: The howl you’ll hear as you chow down won’t be the wind on your face, or some dangerous beast – but rather the horn of the Wakonyingo, calling for help. “Sunrise view from Kilimanjaro Crater Rim towards the Mawenzi Cone” by Sbork. More than a hiker’s haven, Mount Kilimanjaro is a wellspring of legends involving the Wakonyingo pygmies. The stories fall somewhere between history and fairy tale. 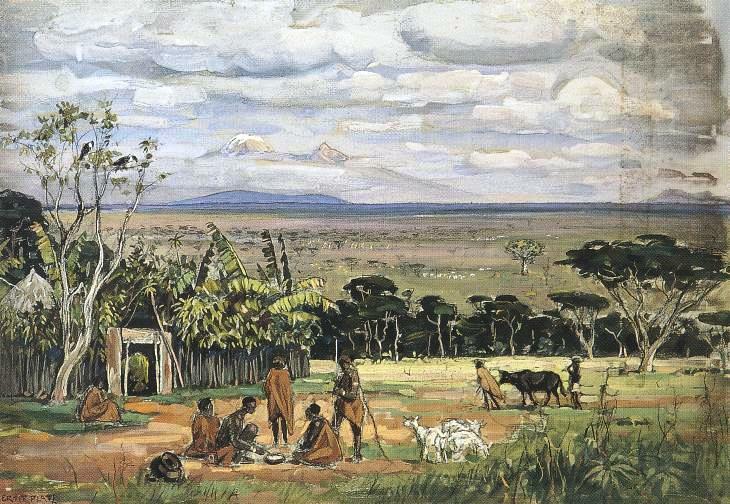 History reports that the Wakonyingo were an early tribe inhabiting Kilimanjaro, driven out or absorbed by invading tribes. The fairy tales report a far more interesting story – that the Wakonyingo fled beneath the mountain, where they remain today. Legends claim they are still down there, hidden from sight in a network of tunnels and caves, living a life any gnome would love. They keep their cattle with them and even grow banana trees in their earthen lairs. Ladders from their caves are said to reach the heavens. Turns out this underground lifestyle isn’t so far-fetched. Chagga caves and tunnels were often masked by huts (photo by Meku84) and accessed by wooden ladders (photo by Robbie Todorovich, The Big Adventure). The Chagga people (also Chaga), who’ve lived on the slopes of Kilimanjaro for several hundred years now, once dug tunnels to hide from invaders. They went so far as to keep their cows and kitchen underground. To stay secret, they used elaborate passwords at the mouths of the tunnels and even placed the underground kitchen beneath an above-ground hut. The hut always had a fire lit so the extra smoke wouldn’t be noticed by enemies. 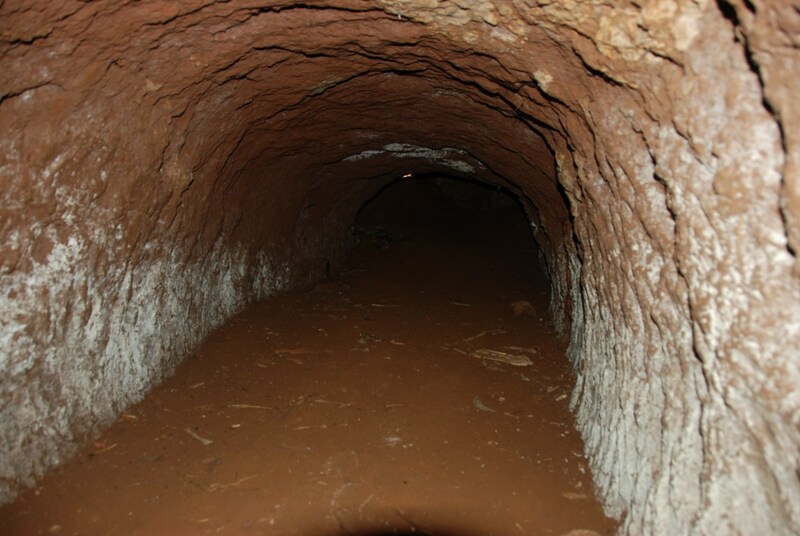 These tunnels can still be seen today. Most hikers will never see the Wakonyingo, but if you venture off the beaten path you might catch one on a rare above-ground excursion. It is said that if you stumble upon a Wakonyingo, you will know him by his enormous head. Legend states Wakonyingo’s heads are so heavy they sleep upright (for fear of being unable to pick themselves back up, off the ground). I searched for drawings in vain, but I like to imagine their epic noggins are similar in scale to Mr. Potato Head. No doubt this is a dangerous life – any stumble or slip would leave the Wakonyingo incapacitated. As a safety precaution, they wear horns around their necks. Will you eat dinner tonight? Depends. In summary, the Wakonyingo remind you to be polite to strangers and those who appear different from yourself. They’re not above delaying your dinner if you can’t handle these basic social skills. On the other hand, they will be more than happy to invite you to dinner if you show some interest in their community. If you’d like to share a meal with the Wakonyingo (and get in their good graces), try whipping up a pot of homemade soup. 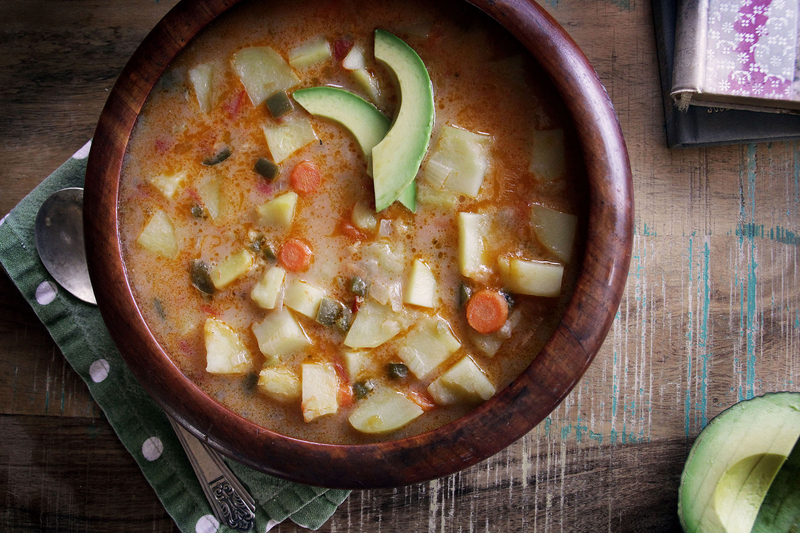 Many Tanzanian soups are thickened with coconut milk and include raw bananas (not plantains) or potatoes for filler. If meat is available, chicken or beef may be added. 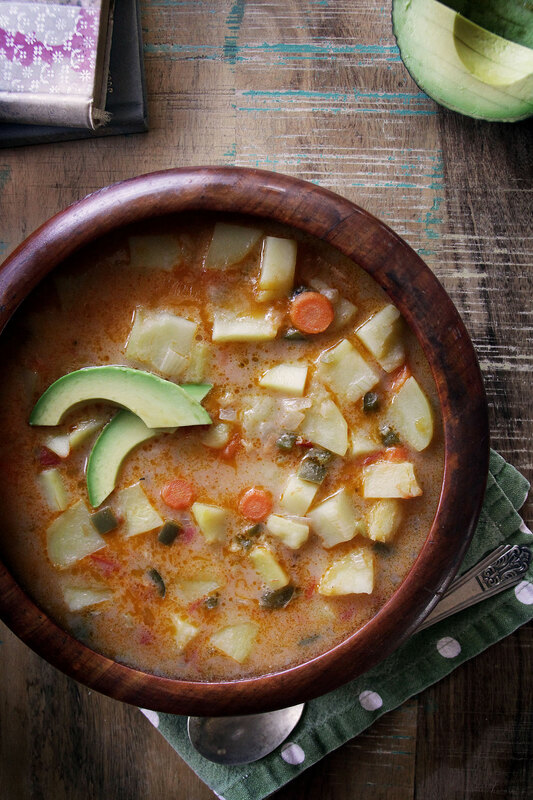 I recently stumbled across a Peace Corps cookbook with recipe for Tanzanian Supu Viazi, or Coconut Potato Soup on National Geographic’s blog, The Plate and thought making an adaptation would be a fun way to get in the Wakonyingo’s good graces. 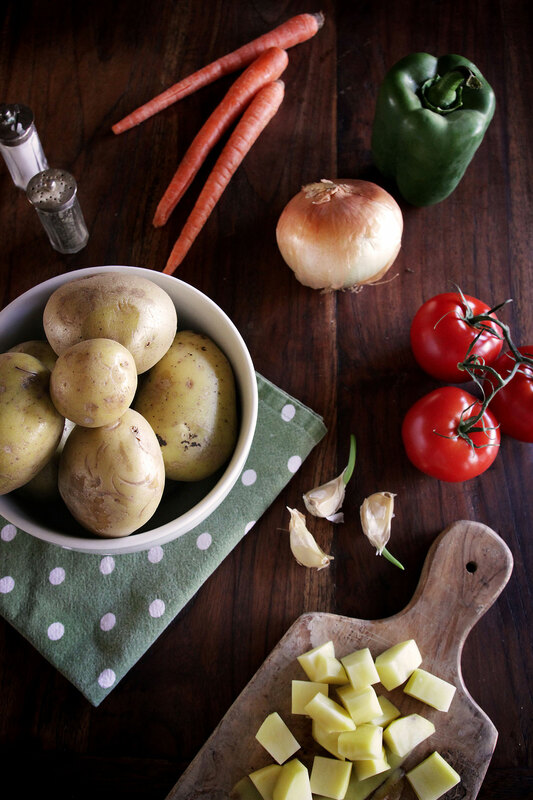 At it’s heart, Supu Viazi is a simple potato soup with Tanzanian flare. The coconut milk is key. Coconut trees flourish on Tanzania’s coastline, east of Kilimanjaro, making it a signature of local soups. A ladle or two of coconut milk is enough to give a large pot a swirl of creamy, tropical flavor. Another signature component of Supu Viazi is the pepper, onion, and tomato base. This trio is so popular in Tanzania (and throughout sub-Saharan cooking), one bite tastes like home to locals (in much the same way as the cooking base “mirepoix” – onion, carrot, and celery – is classically French). Spicy or bell peppers work equally well in this base. Finally, add the avocado garnish and you’ve created quite the fairy tale. And that is a story I want to be a part of. Soups in Tanzania are typically thickened with coconut milk, which gives our Supu Viazi lovely, tropical flare. Substitute in one green banana for one potato to add even more local flavor.Enjoy on a cold winter's day, while huddled by a fire ... or in an underground tunnel with the mysterious Wakonyingo people.My version is inspired by the recipe in "Kumbe I can Cook," the 2012 Peace Corps Tanzania Cookbook. In a medium pot over medium heat, sweat onion and garlic in oil until translucent (about 10 minutes). Add the peppers and carrots. Continue cooking another 5 minutes. Add the diced tomatoes, then increase heat to medium-high and cook vigorously until the juices evaporate and the tomatoes soften into a dry paste - this could take 10-15 minutes. Season and stir occasionally. 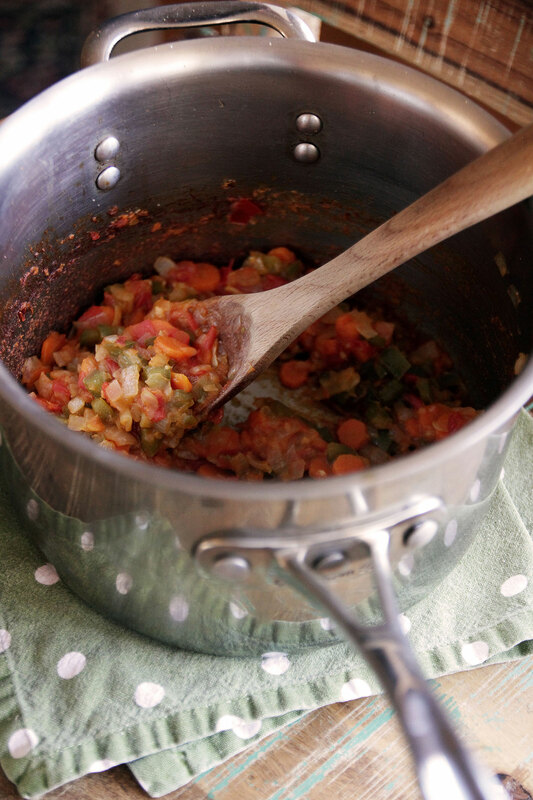 While you could skip this step, toasting the tomatoes adds great flavor to an otherwise simple soup. Add the potatoes, the coconut milk and water. Add the salt and pepper and continue cooking until the potatoes are tender (20-30 minutes). Taste and adjust seasoning as necessary. 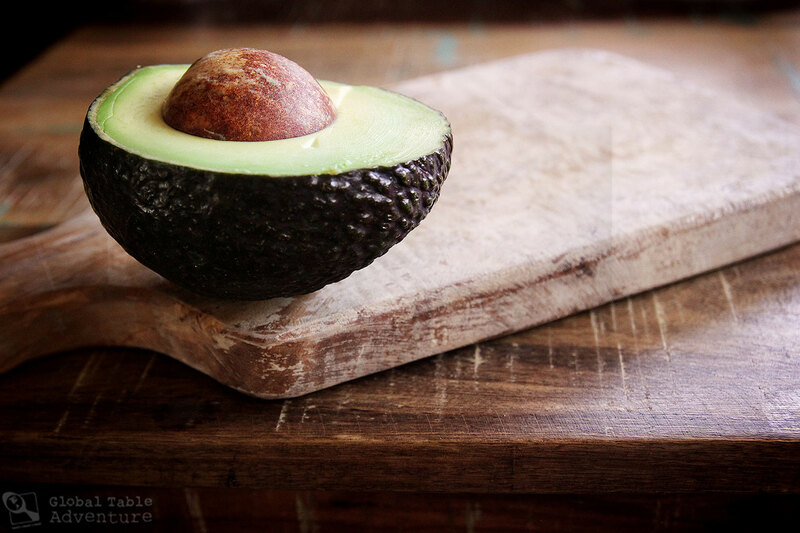 Serve hot with slices of avocado. So when are you going to write and illustrate a children’s book using this tale? Sounds ripe for the retelling! Could include some recipes for children to cook at the end! I love the idea, Cynthia 😊 I’ve been learning lots about fairytales around the world! This was fun to prepare and delicious. Thank you Sasha! this recipe was delicious and very easy too!thank you for sharing! Very impressive. I am a Tanzanian living in Houston, TX. I stumbled upon your post on the internet. So so happy, I can’t wait to try some the cuisines.